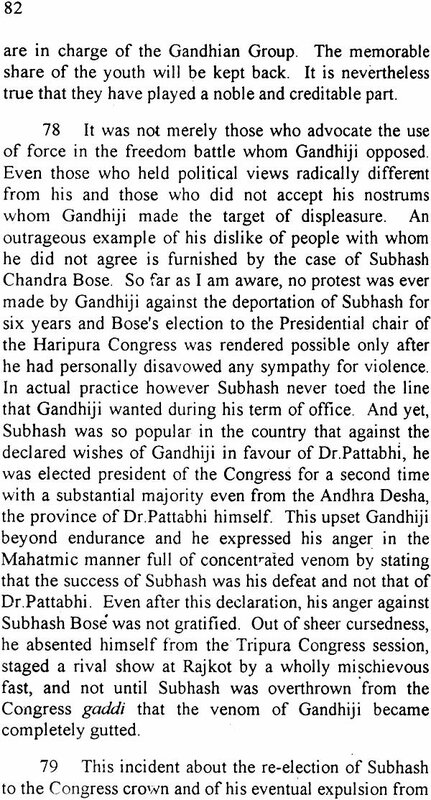 Shri Gopal Godse, born on 20.6.1920, was an accused in the Gandhi Assassination Case in 1948-49. He was found guilty of conspiracy and sentenced to transporation for life. He was released from prison in October 1964, but re-arrested a month later under the Defence of India Act and kept in prison for over a year. He was finally released in the end of 1965. He is the brother of Nathuram Vinayak Godse who was sentenced to death for assassinating Gandhiji. After his release Shri Gopal Godse took to writing first on the episode and then on other subjects. His Marathi, books have been translated into some other regional languages and in English. Shri Gopal Godse has worked for the Hindu Maha Sabha which he considers to be the only Organisation as a’ common political platform for all Hindus irrespective of their castes or sub-castes. Mohandas Karamchand Gandhi, came on the Indian political scene about 19 15 and dominated the same till the evening of 30.1.1948 when the three bullets fired by Nathuram Vinayak Godse put an end to him. Nathuram Godse surrendered to the authorities. 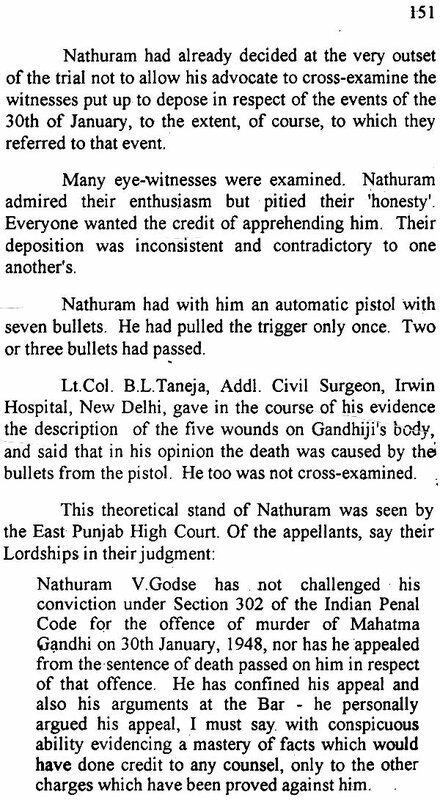 At the ramous Red Fort, trial, at Delhi, on 8.1l.l948 the special Court judge asked Nathuram what· he had to say with regard to the prosecution case against him. Nathuram Godse as Accused No.1, made a detailed statement in answer. It is this statement of his before the Court, that is here-with presented. There was a ban on the publication of his statement, and this had a peculiar background. Shri C.K. Daphtary as the Chief Prosecutor, requested the Court not to allow the accused Nathuram Godse to read the statement that he had prepared and submit the only explanation to the specific charges framed against him. This request was with a purpose. 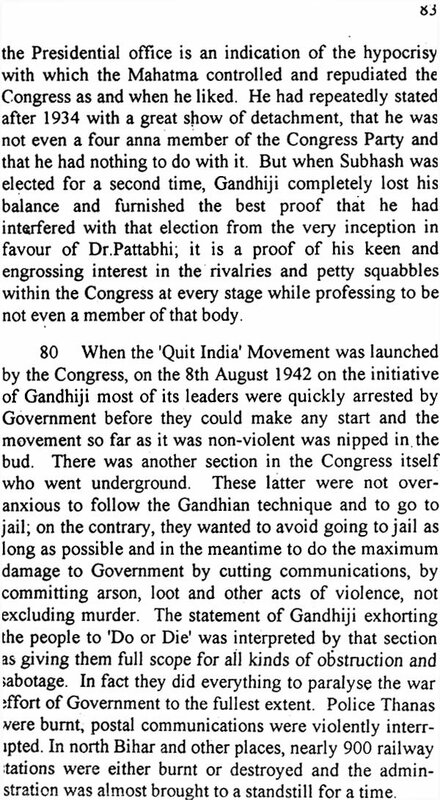 The sleuths of the prosecution had figured in advance that while confessing to the charge of assassination, Nathuram wanted to dig out and depose all commissions and omissions, promises and deceits not of Gandhi alone but also of the ruling party, which he was going to put forward as the motive behind his act and thereby make the truth public through the process of the court, and this the prosecution wanted to halt in the beginning. The judge Shri Atma Charan counter questioned Shri Daphtary. How can I stop the accused from deposing? According to the accused it might be his pleading for justifiability of his act. Or it might be reasons for denying the charges. Show me any authority or case law if you have in support of your objection. Shri Daphtary had to admit that he had no sucn case law or authority that he could cite. The Court overruled the objection and permitted Nathuram Godse to go on with the reading of his statement. The press carried portions of the statement the next day. The intelligent class and also the masses which were kept in dark came to know of the stand of Nathuram Godse. 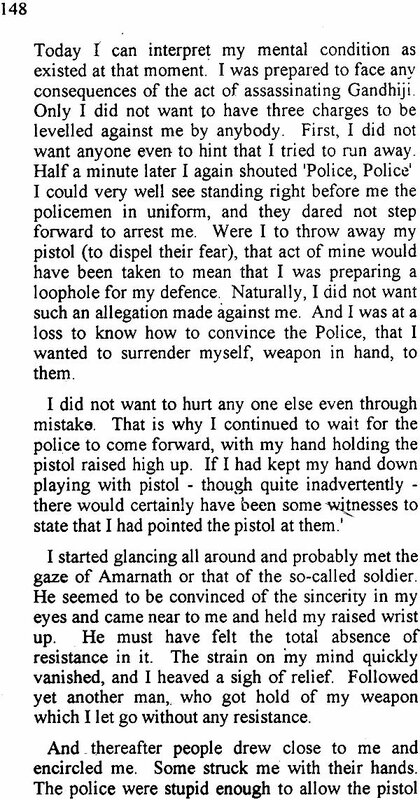 They also came to know that he had not denied the charge of assassins ring Gandhiji. Pandit Nehru was the Prime Minister. On his directions, State after State banned the publication of the statement, in part or in full. It may be noted at this juncture that the Government became more wise when Nathuram Godse completed his arguments-before the High Court at Simla in June 1949. No sooner the judges returned to their chambers, the Police pounced on the press-reporters, snatched their note books and tore them to pieces. They threatened the persons of true reporting. There is a persistent demand for Nathuram Godse’s statement of which he had made in the Court. This is published in English, i.e. the language it was made in before the Court. 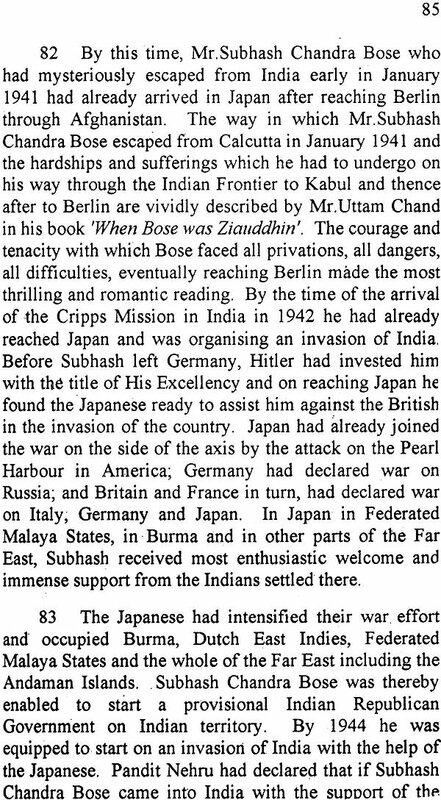 People the world over have been curious to know about the individuals connected with Gandhi Murder episode. What sort of men they were and of what ilk? is asked. Some writers of ‘repute’ have ventured on the subject. In so doing, they have distorted facts, substituted lies for plain facts, indulged in innuendo malicious in nature, and made dirty insinuations in their so-called literary works. They have resorted to cheap sensationalism to pander to the mood of the readership and distort history. That apart, the authentic statement will clear the air of misgivings and meet dishonest versions given currency to sully his image by some writers. The readers could make their own evaluation from the plain facts, the bald and bare statement. To quote Nathuram himself, Honest writers of history will weigh my act and find the true value there of some day in future. 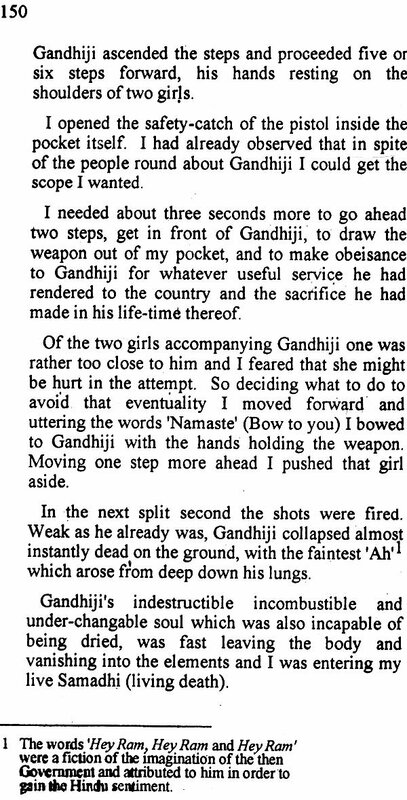 Law gives a special kind of sanctity to ‘dying declarations.’ The statement of Nathuram Godse, in the circumstances in which it was made, commends itself to no less a sanctity. 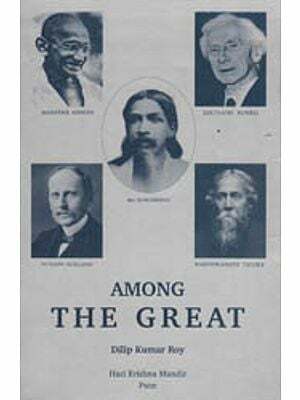 The author (Gopal Godse) is the younger brother of Nathuram Godse, and was also an accused in the Gandhi Murder Case. He was found guilty of conspiracy and sentenced to transportation for life. He was released from prison In October 1964, but re-arrested a month later under Defence of India Act and kept in prison for over a year. He was finally released in the end of 1965. This book seeks to present the statement of Nathuram Vinayak Godse at the Red Fort trial in its unabridged form. Before that an introduction to the events, details of investigations and the formation of the special Court are given. The proceedings after the statement was completed, the judgment, the appeals and the events till 15.11.1949 when Nathuram and Apte were executed, are presented. 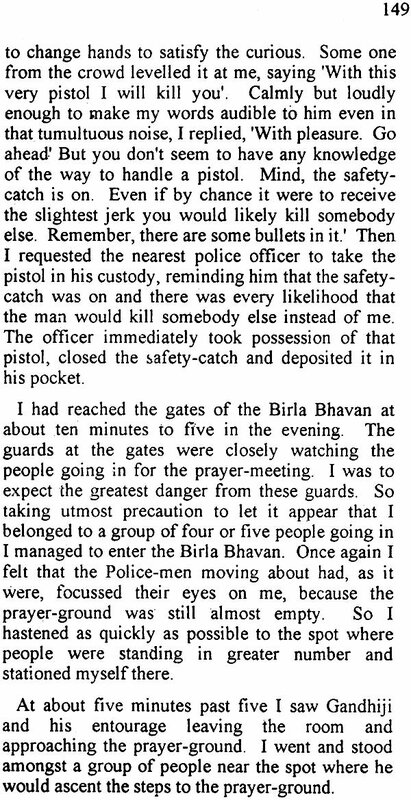 Thereafter a profile of Nathuram Vinayak Godse and the other accused as also the thoughts of the author while serving the’ prison term are given. 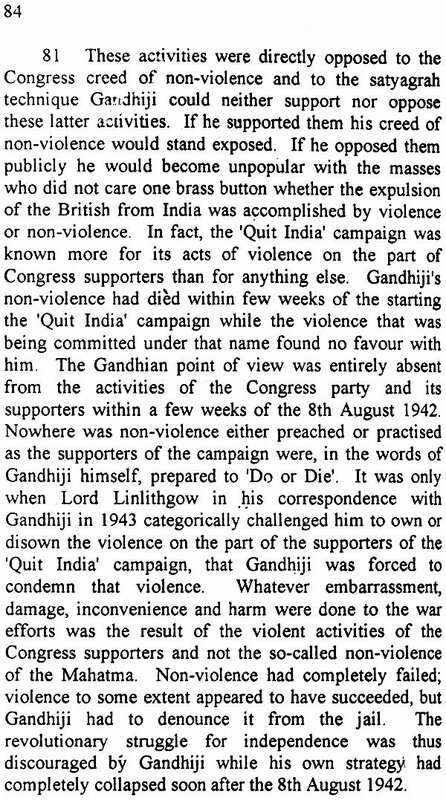 A few words about whether the future events only confirmed or found any discrepancy in the statement coupled with the effect of application of Gandhian policies on the nation are given by way of an epilogue. A translation of Nathuram’s Will comes at the end. Nathuram Godse by his Will, bequeathed the right to publish the statement to Dattatraya, the younger brother, who in turn kindly passed on the right to the author, for which the author is grateful. The author acknowledges with thanks the help meted out by the publishers in bringing out this book.